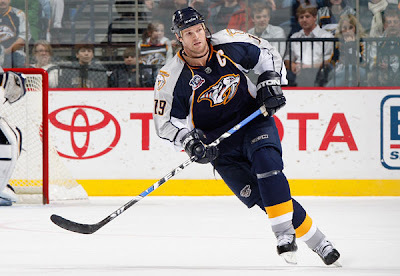 The Nashville Predators are in need of a new captain. General manager David Poile on Saturday dealt Jason Arnott to New Jersey, where the veteran centre played from 1998 to 2002. Forward Matt Halischuk is heading to Nashville along with the Devils' second-round pick in the upcoming draft in Los Angeles. Earlier Saturday, the Predators sent Dan Hamhuis and a 2011 conditional draft pick to the Philadelphia Flyers for fellow defenceman Ryan Parent. Arnott heads back to New Jersey where he enjoyed some of the best seasons of his career. 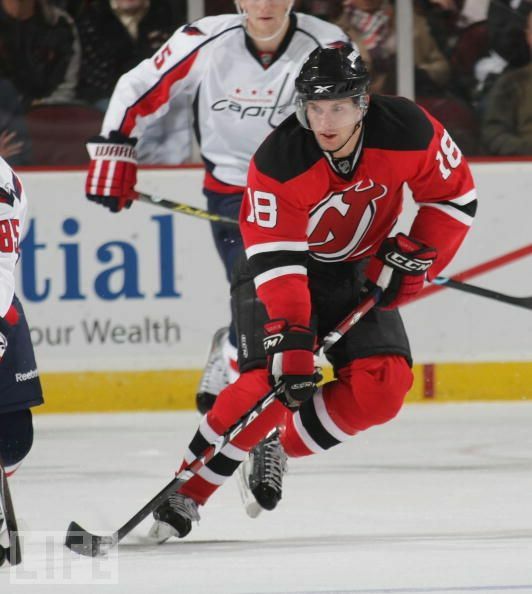 This Devils pick up a player they enjoyed success with and his $4.5 million cap number. This move is similar to when they brought back Brian Rolston last season. Halischuk was a 4th-round draft pick of the Devils in 2007, and has spent most of his professional career playing with the Devil's AHL affiliate. He played in 20 games with New Jersey last season scoring a goal and an assist in limited action. It's tough to get a good read on this transaction. The Devils pick up an expensive retread for another season, while the Preds get cap room, but they had just traded their highest profile impending free agent in Hamhuis. This move might indicate that Hamhuis was looking for a significant pay hike that Nashville was just not willing to offer even if they had the cap room.